The butter is produced exclusively from pasteurized sheep and goat milk collected from the mountainous areas of Olympus. It is suitable for the preparation of both sweet and savory dishes, giving to your dishes a unique aroma and taste unsurpassed. 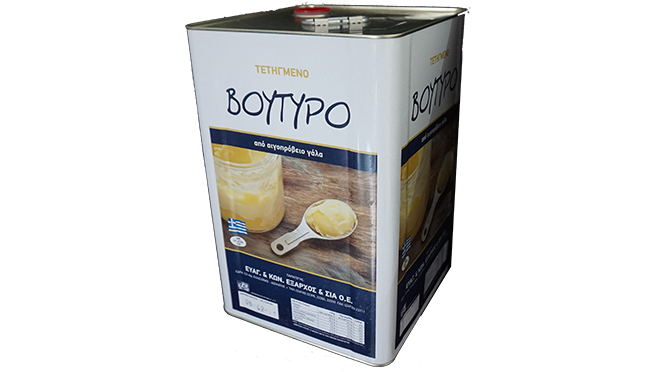 The melted butter is available in a 17Kg container. The fresh butter is available in an air-tight vacuum package of approximately 3kg.